The best part about eating out is that I can try different food, check out the chef's creativity and find inspiration for my future meals. I especially love the small, family-run or ethnic restaurants; the more authentic the food the better. 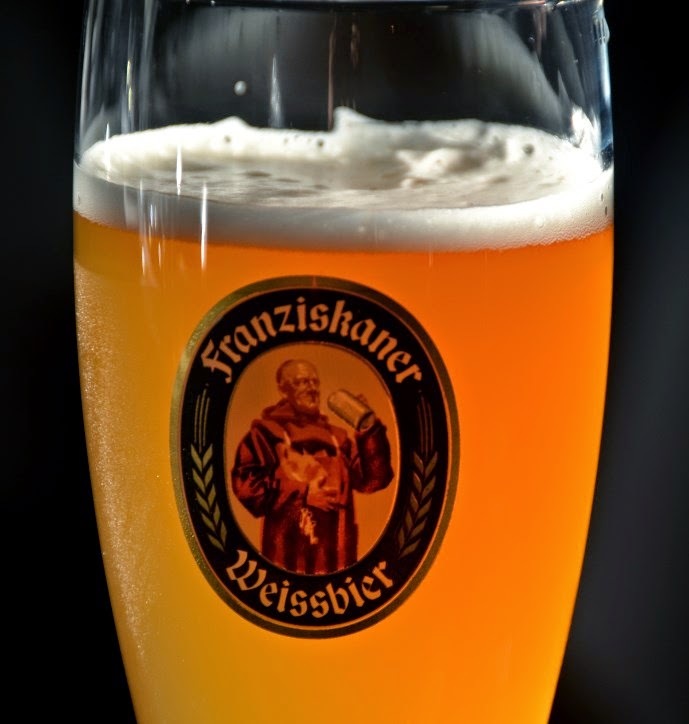 There is one restaurant in Hooksett, New Hampshire that serves authentic Bavarian food. 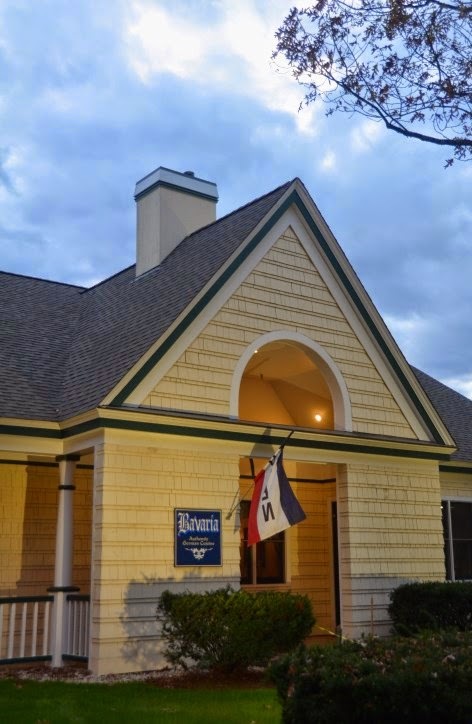 Their menu is not extensive but the quality of the food served is high. I would rather have a few great choices than too many of so-so or poor quality food. 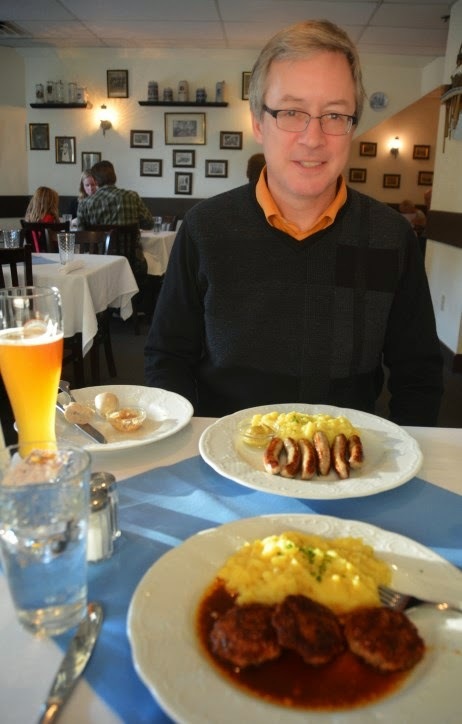 We have been to this Bavaria restaurant a few years ago and I had their spaetzle dish. It was so tasty that I was inspired to make a similar dish at home. My husband and I were visiting friends not far from Hooksett so we stopped in for an early dinner. We did not have reservations but luckily we were able to get a table since we beat the huge dinner crowd. I was very interested in goulash but they ran out. 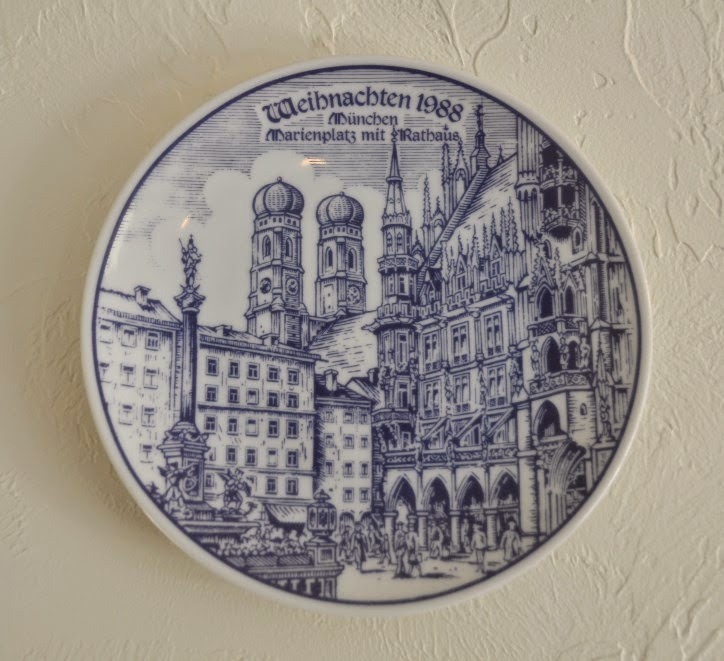 One of the dishes on the menu that I ordered was the kartoffelsuppe mit speck which is described as "traditional Bavarian potato soup with vegetables and bacon". My husband tells me speck means "fat"! This soup reminds me of a version of my chicken soup that I have made in the past except all the vegetables were cut in tiny pieces. What a great idea! This way it will cook faster. The soup was a little salty for my taste but it was very good and it hit the spot since I was starving! My husband had some freshly made pretzel and I took some and dipped it in my soup. The rest of our dishes were meaty with Bavarian potato salad. There was not much green vegetables. I would have liked a few steamed green beans or asparagus on my plate. 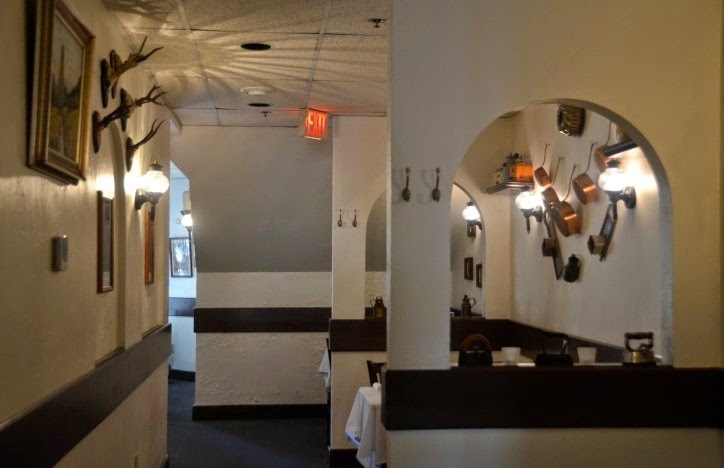 We noticed as we were walking out that the restaurant has several awards for best food which is not surprising. Here is my version of kartoffelsuppe mit speck! You can add more or less of the ingredients. If you are not a huge fan of parsley then you can chop up a few sprigs. I happen to like it so I added a huge amount to this soup. You can use ham, pancetta, or another type of bacon. I had some left over maple sugar cured bacon that I saved in the freezer so I used that. I prefer the bacon with mostly meat instead of fat. If you would like this to be vegetarian, omit the bacon and substitute chicken stock for vegetable stock or water. Add extra salt if you use water. 1) Heat a pot over medium high heat. Add bacon, onion, and scallions once the pot is heated. Cook about 3-4 minutes. 2) Add celery, carrots, potato, and parsley. Cook for about 5 minutes. 3) Add stock and water. Once the liquid comes to a boil, turn heat to low and cover. 4) Add salt according to your taste. Cook for about 20-25 minutes. Turn off heat but keep cover on so it continues to cook. 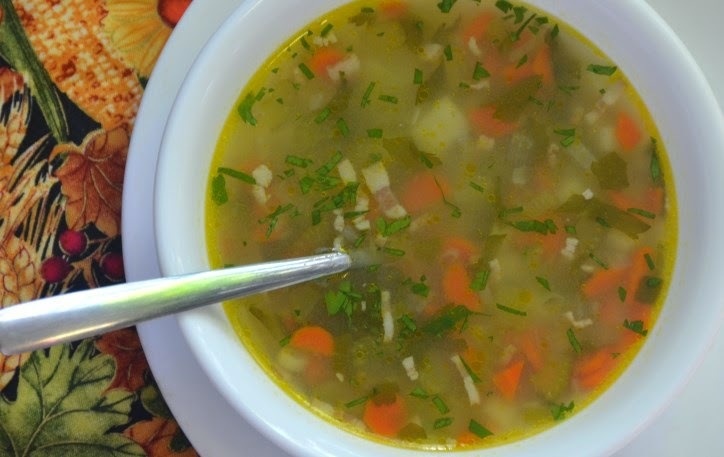 When ready to eat just add extra parsley leaves to brighten your soup. 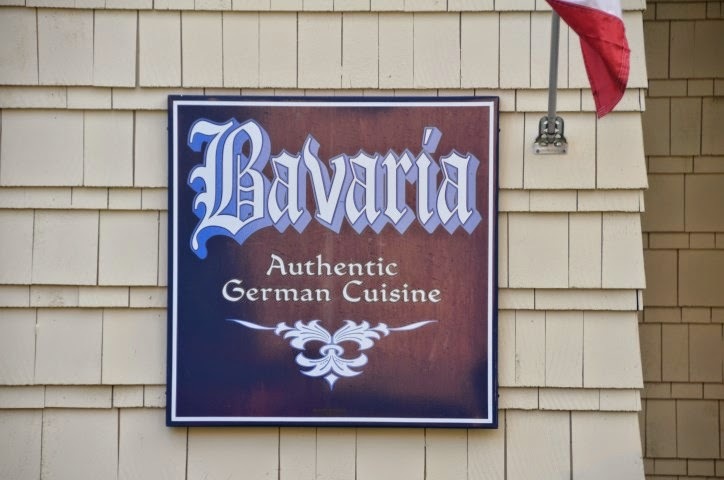 *Please click on Bavaria German Restaurant in New Hampshire. If you are interested in a meal with them. I would recommend calling to make a reservation. get enough of all the various wursts!